To download EC2 Tools you can use this page from the Amazon Developer tools page, that links to the zip file in S3. The Tools use Java, so you will need Java, at least v. 1.6 and can be uncompressed to any directory. The tools use AWS_ACCESS_KEY and AWS_SECRET_KEY environment variables to know your credentials, and so passing the requests to Amazon API with them. Amazon AWS_ACCESS_KEY can be seen on your AWS account. Then use the parameter –url or -U to specifify the url of the region you want to query. You can also set the parameter EC2_URL environment variable if you prefer. To test instead of performing the action. The first text starting with ca:75:f9… is called the fingerprint and is a checksum of the KEY. The images available to you can be public, your own images (private) or images that other AWS account has granted to be launched from yours (explicit). You can describe AMIs, AKIs, and ARIs (Amazon Ramdisk Images). The second column is the AMI ID, that is unique for every zone. Link to the Amazon’s documentation for ec2-describe-images. Passing the AMI ID of the AMI, so the base image for the virtual disk, to launch. Here you can find complete documentation on how to export instances/disks from Citrix, Microsoft Hyper-V and VMware. 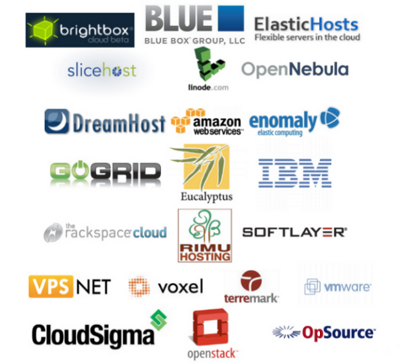 Why is it important to know the APIs from the Cloud providers?. In order to be able to automate tasks and to measure the time taken by the actions to be performed. Most Cloud providers have their own APIs, while the smaller ones don’t. Apache Libcloud provides an unified API for many providers, even for some of the providers that don’t offer direct API. This entry was posted in Cloud scripts and tagged Amazon EC2, Amazon EC2 Developer Tools, Amazon S3, Apache LibCloud, Citrix, Microsoft Hyper-V, Ubuntu, VMware on 2013-10-17 by admin.